Thems were the days. Thanks for sharing. Nice set paddy. A Nimrod display was something to savour. Nice. That Swiss Hornet is sweet. Lovely set. Thanks for posting. Topic: VP-40/VP-46 P-3s depart the Hall. Re: VP-40/VP-46 P-3s depart the Hall. Very nice - nice catch with the AN-124. Re the An-124, we'd thought about nipping over to Brize to catch it but decided not to as feared losing our parking spot at Fairford. In the end it was given 07 at Brize so gave us a flyby. A bit of a crop but a capture nonetheless. Nice set. Those F-5 shots bring back happy memories of the 527th at Alconbury. Excellent shots in superb conditions. RAF Marham tweeted about 45 minutes ago to say a weather discussion was taking pace within the hour to discuss the possibilities of flying. Decision awaited. Nice set. Gotta love a smokin' AWACS. Topic: SUNNY MARHAM - Part 2. 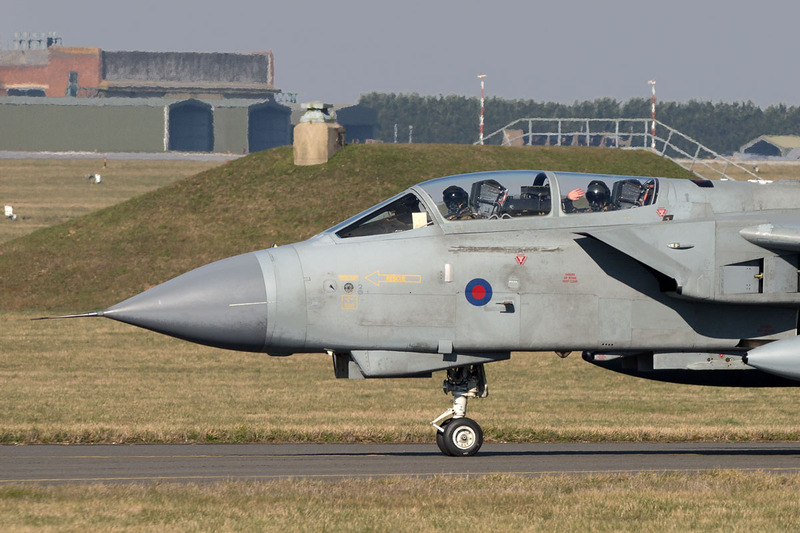 Re: SUNNY MARHAM - Part 2. Thanks for the kind words peeps and unless I get lucky next week, these could well be the last pics I take of an RAF Tornado in the air.